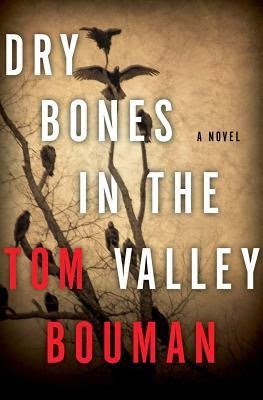 Dry Bones in the Valley by Tom Bouman is available at Amazon, BooksAMillion, and Barnes and Noble. In Wild Thyme, Pennsylvania, secrets and feuds go back generations. The lone policeman in a small township on the sparse northern border, Henry Farrell expected to spend his mornings hunting and fishing, his evenings playing old-time music. Instead, he has watched the steady encroachment of gas drilling bring new wealth and erode neighborly trust. The drug trade is pushing heroin into the territory. There are outlaws cooking meth in the woods, guys Henry grew up with. When a stranger turns up dead, Henry’s search for the killer will open old wounds, dredge up ancient crimes, and exact a deadly price. With vivid characters and flawless pacing, Tom Bouman immerses readers in rural northeastern Pennsylvania, a region in the grip of change. In these derelict woods full of whitetail deer and history, the hunt is on. I received a free advanced copy of this book in exchange for a review. This Appalachian murder-mystery is more mountain ballad than cozy, but unlike the mountain ballads, this story is about modern Appalachia, drawing on current issues like meth-labs and gas-drilling that's destroying/poisoning the natural environment. Some people may not like the tone of the book - it's a melancholic-romance, typical of the mountain ballads and what cozy can be found is in the heritage of the mountain ballads that it resembles. In places, the prose is beautiful and quotable, if I had a copy of the finished product to quote, but there are a couple patchy spots where one paragraph doesn't blend seamlessly into the next. I love that I didn't solve the murder until the end. The mystery is wrapped up in many threads - some focused more on introducing Officer Henry Farrell's world -Wild Thyme, Pennsylvania- than the murder, but this was used in a way that made the investigation feel more realistic than what's usually found in cozy-mysteries. I will be watching for the second installment of this series.